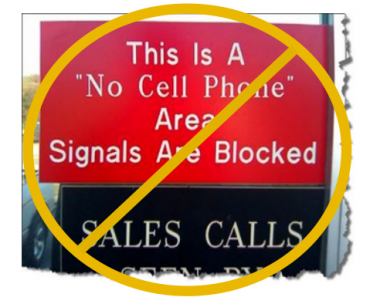 If you have ever been on a bus or train with someone loudly yammering on their cellphone, the appeal of a device that could block their signal is undeniable. Well, the Federal Communications Commission would like to take this opportunity to remind you that such products remain illegal, regardless of their obvious appeal. The agency said it has undertaken 20 enforcement actions against online retailers in 12 states for illegally marketing such jamming devices. “The FCC Enforcement Bureau has a zero tolerance policy in this area and will take aggressive action against violators,” Ellison said. If only there were a zero-tolerance policy against loudly sharing embarrassing personal details with an entire bus.